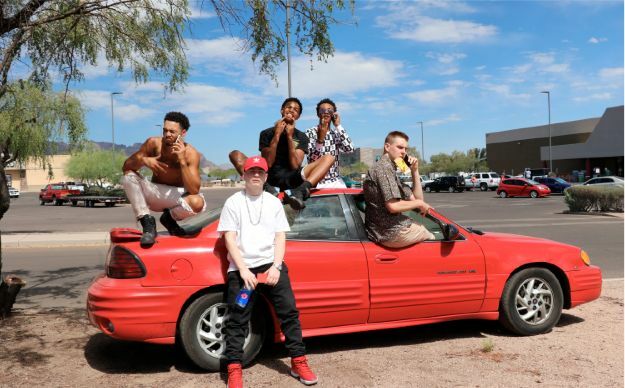 ​​SZN is a group of entertainers who all started in different cities but came together in Arizona. Being a hip-hop group, all of SZN’s entertainers have worked day and night on their craft. This dedication is what makes every “season” our “SZN.” SZN is backed by the independent label “PlugMade Recordz” and has a clothing line called “gooodwooods.” PlugMade Recordz currently has 2 artists signed to their label, Two Phones and Drewofgamo, which makes SZN a way to bring talent to the label without signing anymore artists. gooodwooods was started in SZN while the entertainers were in the studio. The name for the the clothing line came out of nowhere and stuck with the group. Today SZN consists of 5 artists. These artists are Two Phones, Drewofgamo, Khaki Boi, Cozy Tommy and Smokey. You can find these artists on YouTube and SoundCloud.